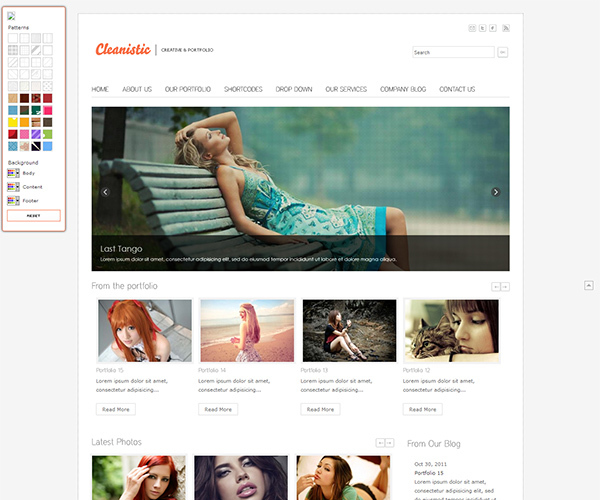 Cleanistic WordPress Theme is a high-quality and custom design photography, portfolio or personal blogging theme for WordPress. 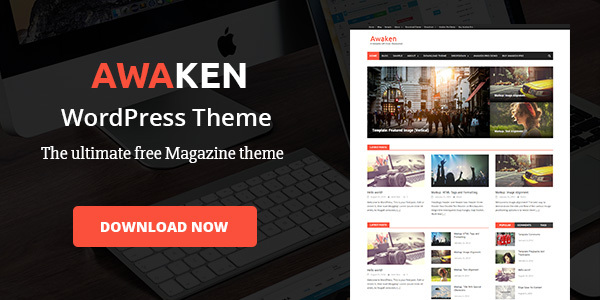 This theme comes with unlimited color combinations for background, headlines etc. and 40+ patterns that are ready to be used. All WordPress 3.0 overviews (menus+thumbnail options) and major browsers are compatible, plus Cleanistic has search engine friendly clean codes, a beginner friendly theme admin panel, social media profiles and a contact form custom page template.